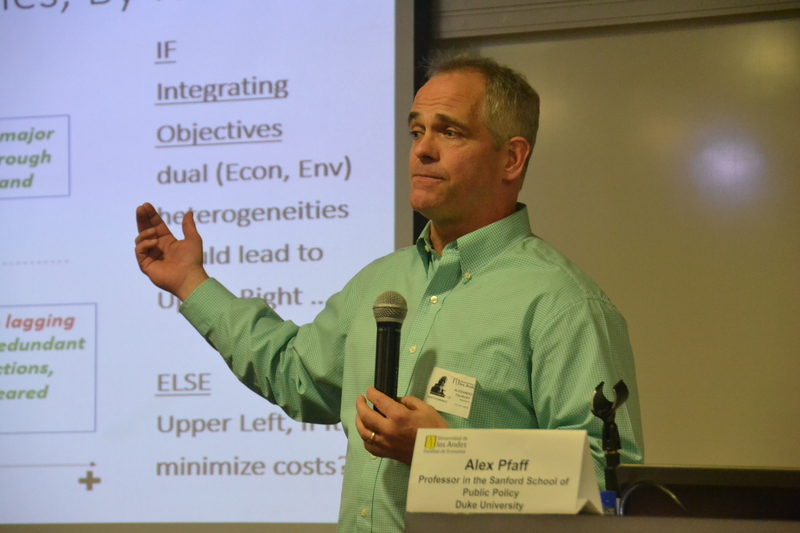 For the first joint seminar, which was held on January 21st 2019, EfD Colombia invited Professor Alex Pfaff from the Sanford School of Public Policy at Duke University. 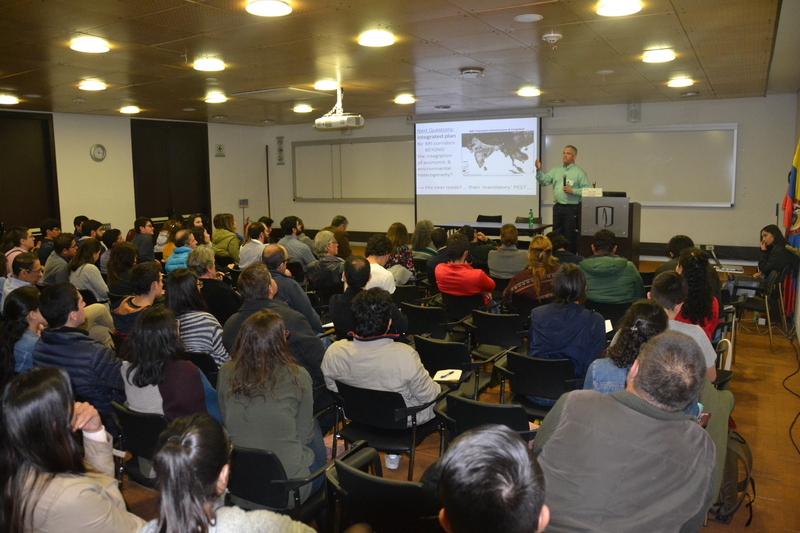 The title of his talk was: “Integrating Development & Conservation Planning: Heterogeneous Policy Impacts & Policy Interactions”. Meeting the targets for all of the SDGs is an enormous challenge. Lessening tradeoffs and capturing synergies would contribute. That can be achieved by integrating the historically separate planning of economic development and environmental conservation, given that: policies’ impacts are heterogeneous; and policies affect each other’s’ impacts. Thus, targeting and bundling of policies could achieve more development (conservation) for any level of conservation (development). For transport infrastructure, e.g., as recently highlighted by Chinese initiatives economic net gains and environmental net costs vary greatly in size and even sign. Route choice could improve outcomes if planning is done with several SDGs in mind. Further, PAs affect the roads’ impacts while roads affect PA impacts. Thus, coordinating transport and protection could improve outcomes as well. Varied contexts imply different best bundles of options for development and conservation. For instance, PAs’ types affects the political feasibility of SDG mixes of public and private goals, while varying public and private capacities suggest blending in private rights (including concessions, which interact with certifications) and eco-payments. 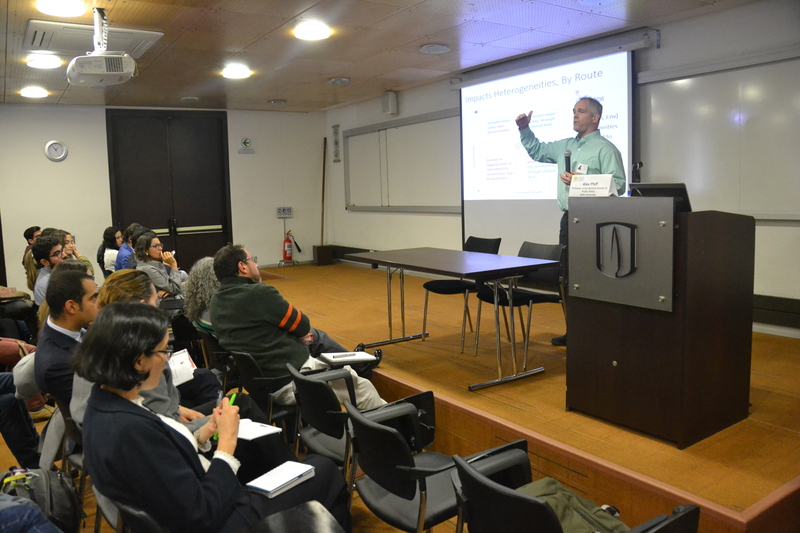 For implementation, context must include political economy as the relevant actors also are heterogeneous and interacting. It is possible to see the recorded video of his presentation here.